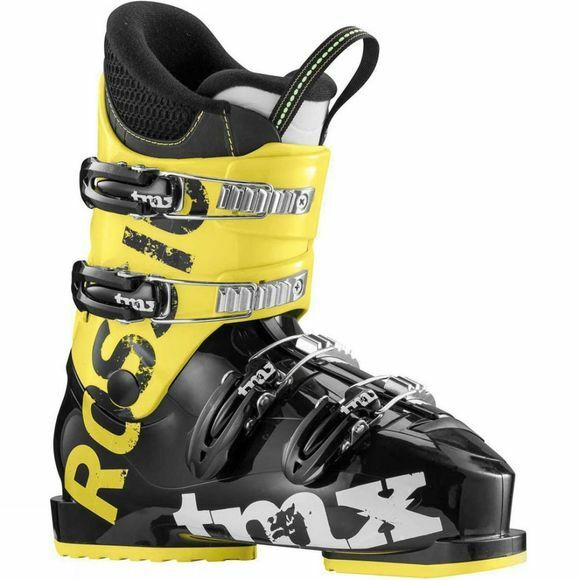 The TMX J4 is a comfortable, easy-to-use junior boot designed for aspiring junior freeskiers. The J4 features our acclaimed Sensor Fit to deliver increased comfort, performance and warmth while addressing all of the common problem fit areas. The four-buckle design with adjustable cuff catches provide enhanced support and allow an easier fit for fast-growing kids. The TMX J4 is designed to help junior freeskiers develop solid basics and encourage them to experience the thrill of winter and skiing.